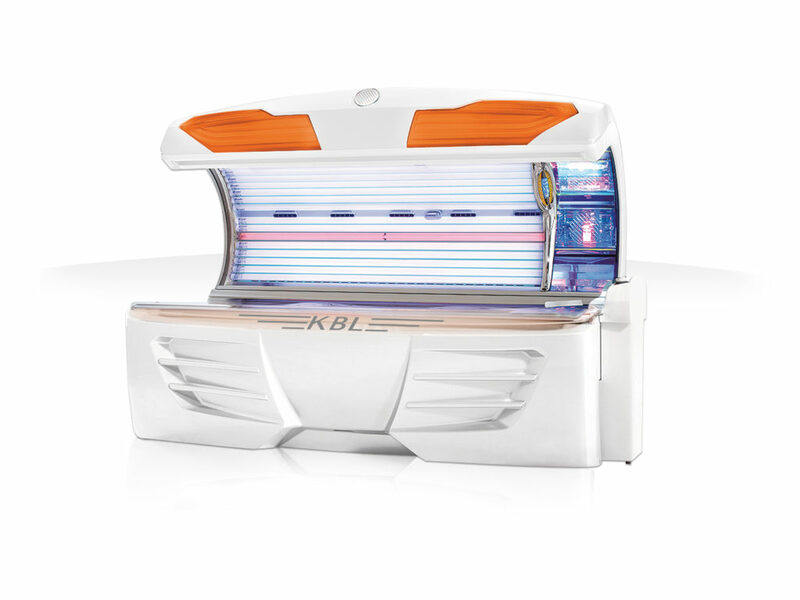 Eloquent design and high-end amenities make the KBL 4800 Alpha a sure way to display your commitment to providing the best tanning experience. Don’t worry; the appealing price tag can be our little secret. The 4800 Alpha introduces a tanning experience that is pure pleasure. It is in every way a true KBL bed: visually stylish and modern while technically superior. The clear design language and consistent contours clearly reveal the family affiliation of the KBL 4800 Alpha while showcasing unique details and innovations as well as an attractive design. Take advantage of premium features offered at a powerfully attractive price! latest technology, the pigment tubes achieve perfect skin-friendly tanning results and provide the body with enough essential vitamin D, while electronic ballasts reduce the energy consumptions of the tubes – eco-friendly and cost effective! 8,060 total lamp wattage, with adjustable, high-pressure facial lamps, provides abundant tanning power. Adjustable full-length body cooling vents, user-friendly glass control panel, megaVoice and MP3/SD card audio system amplify the stress-free and pleasurable tanning experience. Simply put, the 4800 Alpha will be a dependable workhorse in your salon, with the eye-catching appearance and impressive features that assure tanners that they’re getting their money’s worth. And at a price that can’t be beat, the value to your business is unmistakable – it’s a guilt-free indulgence for you and your clients!